Metro services are always for the social service if the government is not even getting the targeted revenue than how the future can be decided? New Delhi: The recently released official documents show that the Delhi Metro, which had set a target of Rs 2,505 crore to raise from property development in its Phase III properties, has been able to meet only 18% of that amount so far. 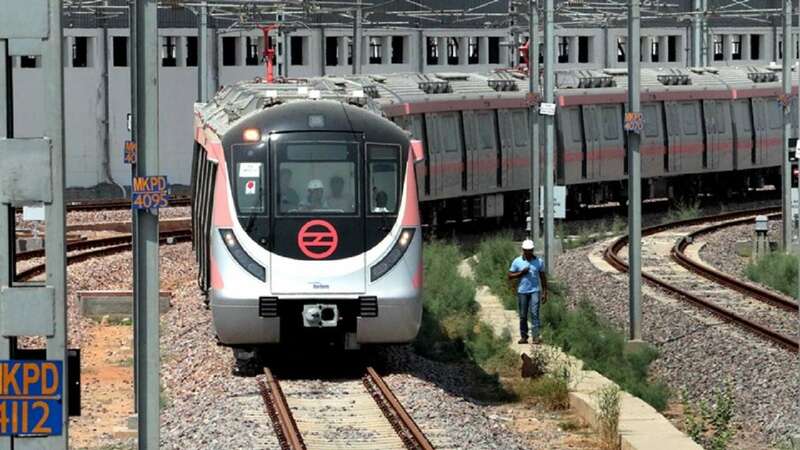 In June the board meeting of the Delhi Metro Rail Corporation (DMRC) with an official, meanwhile of meeting they share the concern that the company may not be able to meet the target if the issue related to policies of the DDA the land-owning agency are not resolved. The DMRC documents also stated that during Phase III, the earnings required to be realized from property development was Rs 2,505 crore. Due to various issues, the corporation has been able to earn only approximate Rs 462 crore. There is also the shortfall of approximately Rs 2,043 crore. The Magenta line which is fully operational and a portion of the pink line has been open for the public are the two major corridors of Phase III. The delay in work was mainly due to major shortfall assumes significance against the backdrop of Chief Minister Arvind Kejriwal’s repeated insistence that Metro should diversify its revenue-earning channels to reduce dependence on fares. The official also said that the DDA is counting the operation parts of stations such as concourse, platforms, and technical rooms, for the counting of FAR in case of DMRC, due to which there is a scarcity of space for property development at the stations. The DMRC said that the Transit Oriented Development (TOD) policy, which will enable construction of residential and commercial properties alongside Metro corridors, has also not been finalized thus hampering Metro’s efforts. It is not being exempted from paying additional FAR charges and the non-availability of permission to it for residential property development. The issues are addressed as and when they are brought to the agency’s notice, said DDA V-C Singh. Even though the DMRC had taken up as many as five residential projects between 2004 and 2008. However, none have been completed for a slew of reasons, including delay in getting approvals and dispute on land ownership among others, documents note. But this cannot be happening always metro had raised over Rs 700 crore in Phase I, exceeding its target. From Phase II, it could raise a little over Rs 200 crore, falling short of the target.